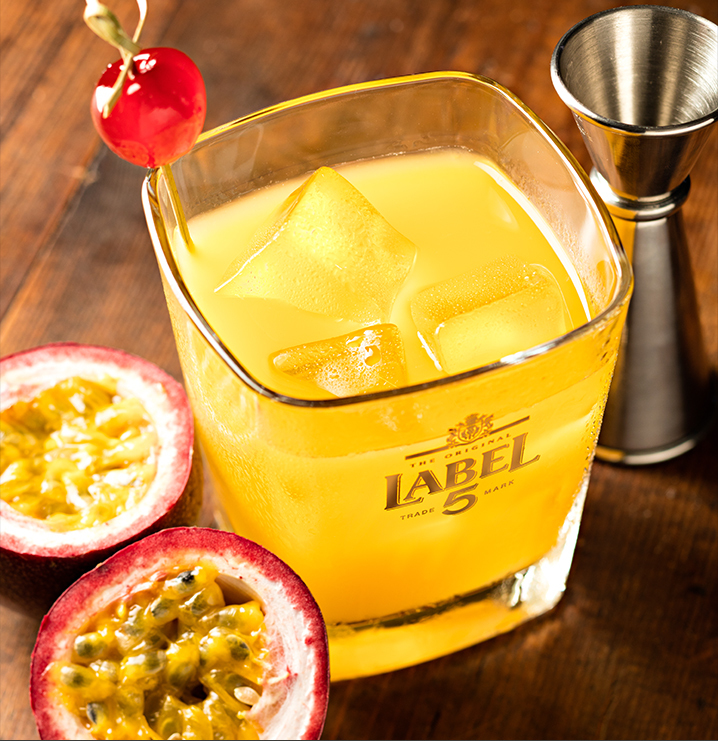 In a shaker, pour the orange juice and the cane sugar syrup with the passion fruit puree. Add a spoon of bitter, the LABEL 5 Classic Black and ice. 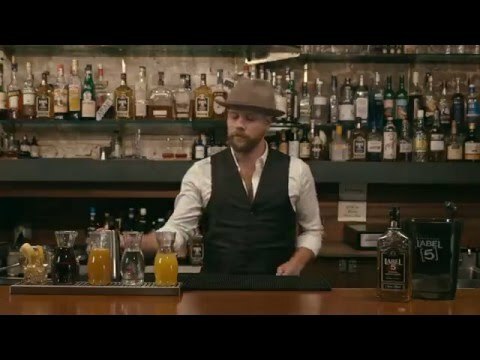 Stir it well and strain into a short drink filled with one big ice cube. Add some cherries for decoration.